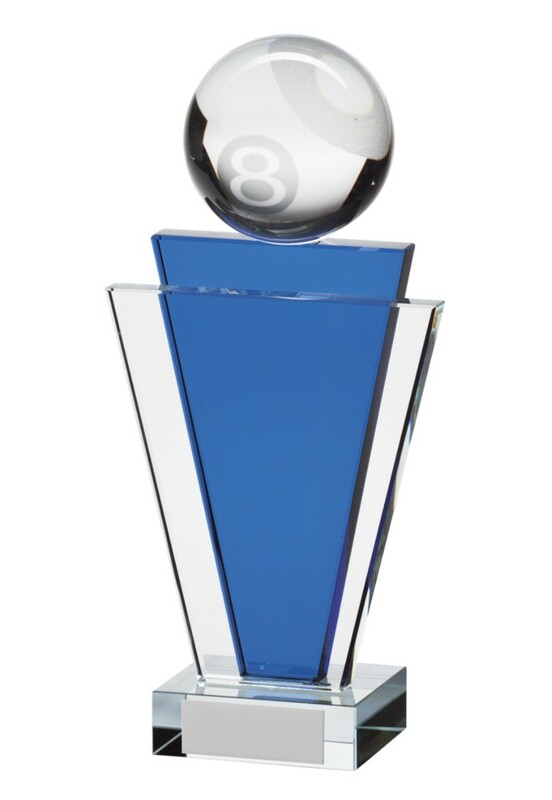 Gauntlet Glass Pool 8 Ball Trophy. A 3D pool 8 ball on top of clear and blue crystal columns. Available in 3 sizes, 155mm, 180mm and 200mm high.